Whenever you're thinking about a two-seater vehicle designed to achieve great speeds and high performance figures, fuel efficiency is not really amongst the very first things that pop in your mind. 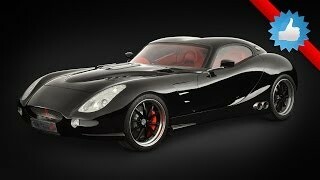 The idea of a fuel efficient sports car is somewhat contradictory but a British car manufacturer has joined this cause and unveiled the Trident Iceni Grand Tourer 2012, a powerful roadster with two seats that aims to deliver both great performances and uncanny fuel efficiency. 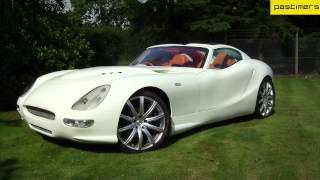 Trident has first unveiled their Iceni Grand Tourer concept car during the 2007 Goodwood Festival of Speed but the roadster's launch has been delayed indefinitely. Recently however, the British manufacturer came out of the shadows and has announced that the Tourer will soon hit the showrooms. The roadster is motivated by a GM-sourced 6.6 liter diesel engine able to run on mineral diesel, biodiesel, linseed oil or palm oil. The power plant is able to produce 430 horsepower and 950 lb-ft of torque but those interested in purchasing the car can also choose an upgraded version that outputs 660 horsepower and an astonishing amount of 1,050 lb-ft of torque. The results are quite staggering and the Tourer can go from 0 to 60 mph in just 3.7 seconds while being able to reach top speeds of 200 mph. Despite all those Ferrari 458-like performance figures, the British manufacturer claims that if the Grand Tourer is driven at 70 mph it will be able to cover roughly 68 mpg (UK). Furthermore, Trident claims that their sports car is able to cover more than 2,000 miles on one tank of fuel and come to think of it, these figures put the Tesla Roadster to shame. In terms of design the Iceni comes with some pretty funky features such as the split open top, fluid design cues and a matte grey exterior that contrasts with the bright-red upholstery on the interior. 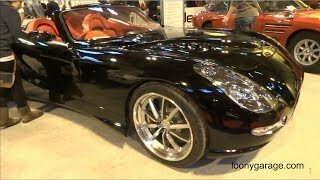 Overall the Grand Tourer looks pretty interesting and as far as aesthetics go we could described this particular two-seater as a "more British" Pontiac Solstice. The Trident Iceni Grand Tourer 2012 is expected to make its public debut at the Salon Privenext month in London from September 5th to 7th. Pricing for this powerful yet eco-friendly sports car has been revealed and in case you'd be interested in purchasing one you would have to pay £75,000.